Modern sporty street tires are quite capable of fast track riding. I have street compound Corsa 3s on the ZX6 in this photo. 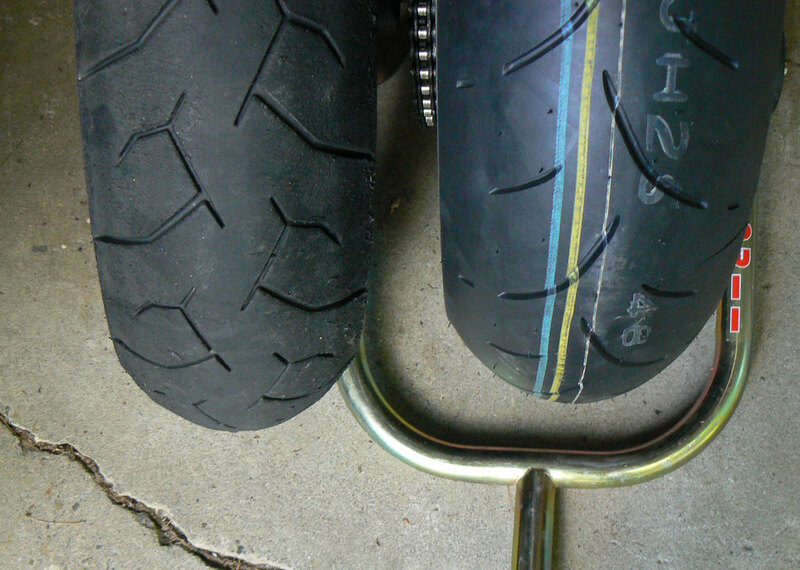 Tires can be a source of anxiety to a motorcycle rider. And it’s no surprise, since our tires provide us with the traction we need to make it home in one piece. When it comes to track days, many people use their only street bike to also ride on the racetrack. This is great because they learn the limits of the machine with which they spend the most time. But, having a bike that is used for both street and track means compromising on certain things, one of the most important being tires. Below is a letter I received from a subscriber named Kevin from the UK. I replied to his email and hit the “Send” button, only to have it bounce back. Since this is a FAQ subject, I decided to post it for everyone to read. I am also hoping Kevin reads this reply, so that he knows that I am not ignoring his question. Subject trackday tyres – please help! I have been searching the internet in order to get some advice re tyres when I stumbled upon your web site which has some great advice – you are clearly very knowledgeable, I wonder if you can help please? I own a 2006 GSXR 1000 K6 and have just booked a four day track day to Almeria in Spain in September, I need to buy tyres for this trip and am torn between either Supercorsa SP (so road compound) or SC compound (SC2 rear, SC1 front), can you help me decide which is best for me? Here’s some information related to my situation: – I have participated in UK track days (but not since 2011) , I am generally at the front of the novice group or in the slower half of the intermediate group – I’ve never participated in a European track day before and wonder if the heat is a consideration (it will be around 75-80 degrees) – I used to have a dedicated track bike (only used for 1 track day!) which I ran an SC2 rear and SC1 front on but the GSXR 1000 is now my only bike, from now on it will spend 90% of it’s time on track with a small number of outings on the road Based on the above, do you think the SP (road compound) version of the Pirelli Supercorsa will be ok or would you recommend the track compounds and if so would you recommend an SC2 rear and SC1 front or SC2 for both front and rear? I’m worried the road version will lose grip due a combination of high ambient temperature and constant track use – does this sound feasible? Based on your suggestion, how many track days do you think I will get from the front and rear tyre, would one front and one rear be ok for all four days or would I need two rear tyres and maybe two front tyres (the trackday is running three groups, 20 minute sessions so is not open pitlane). Would the road version last longer than the track compounds on track or would it be the other way around? This question sounds silly, but how can I tell when the tyres need to be changed? I’m scared that if the answer is to wait until they start to slide then I might crash! I’ve never used tyres solely on track before so have changed them when they squared off but I realise this won’t happen on track so I’m not sure when I should change them – I want to get as much use as possible from them as they are very expensive but I don’t want to crash! Finally, I have a set of tyre warmers which I used on the SC2/SC1 combination, if you think the SP (road) version of the tyre will be fine, can I use the tyre warmers with them? Thanks in advance for taking the time to read this, it’s very much appreciated, esp since we have never met and I found your details on line, apologies for having troubled you but this is literally making me lose sleep and you seem to have the knowledge and ability to give good advice. 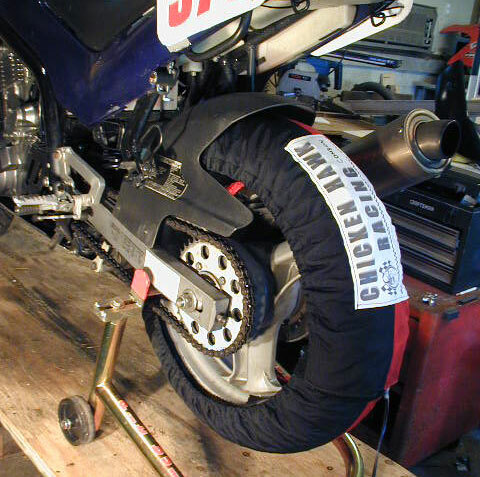 Tire warmers are necessary for racing, but not for track days. Tires are a big source of stress even for seasoned track day riders. I have not seen you ride, but in your particular case, with the pace that is typical of a novice/intermediate track day rider, you could go with either Supersport street-oriented tires (Supercorsa SPs), or race compound tires (SC1 Super Soft/SC2 Soft). It’s way easier to have a track-only bike so you don’t have to spend energy worrying about street versus race compound. But, realistically, street rubber is so good these days that you can push them pretty hard on the track and they will perform very well. Besides, novices do not typically need race rubber. However, as your pace picks up and you graduate to the faster ranks, street rubber will not perform well enough for sustained fast laps. That said, I have run advanced group laps on Pirelli Corsa 3 (Corsa Rosso) street-oriented tires with no troubles. If your bike is going to be on the track 90%, then go for the SC2/SC1 combo. Although you could also go with the SC2s as I’m sure that they will be more than sufficient for your pace and may last a bit longer. The question is whether you want to use them on the street. A lot of people do use race compound tires on the street (often as “take-offs” discarded from racers), however you will wear them out pretty fast. And, you must be aware that race-compound tires will not heat up as quickly as the street-oriented SPs and will never get up to full temperature at street speeds. They may even provide less grip than street tires in normal street riding conditions. If you find yourself riding more than 50% on the street, I would consider moving to street rubber. But, once you become a solid intermediate track day rider you will want race rubber. The SP street compound will work, but want your tires to be better than you are whenever possible. When it comes to tire warmers, they are nice but aren’t necessary, especially for street tires. Two laps at a moderate pace is enough to get them up to temperature. Even race tires don’t require tire warmers, but they do allow you to go fast after only a few corners. I do not use tire warmers at track days. I’m too busy working with customers to mess with them. Too worn? The street-oriented Pirelli Corsa 3 on the left performed very well and still looks good, but it was starting to slide, so new rubber was mounted. Street rubber has it’s limits when you start going fast. Deciding when to change tires is a stressor for most people. I did crash once after asking a front Corsas 3 to go one track day too many. The tire had endured a lot of abuse it wasn’t really designed for, so the punishment from too many hard laps caused them to not grip on a cold out lap. If I had just taken it a bit easier until they warmed up I would have been fine. I tend to change front tires every 6 days and 4 for a rear, or earlier if the tracks I have ridden are particular abrasive. (I don’t know about Almeria). That is after riding at all group levels with several expert track day laps thrown in. So, in my opinion, you will likely get the requisite 4 days out of both rear and front. Is there going to be a tire vendor at the track who can sell and mount tires if the tires are wearing faster than expected? Often there is. Find out so you can be prepared with tools and stands to change your tires at the track between days. Nobody can deny that this winter has been a doozy! Even as March has arrived, it’s well below freezing and the snow cover is still measured in feet where I live. Thankfully, the sun is noticeably higher in the sky and the days are longer, which points to the inevitable spring thaw. This means that it’s almost time to ride! But, wait. 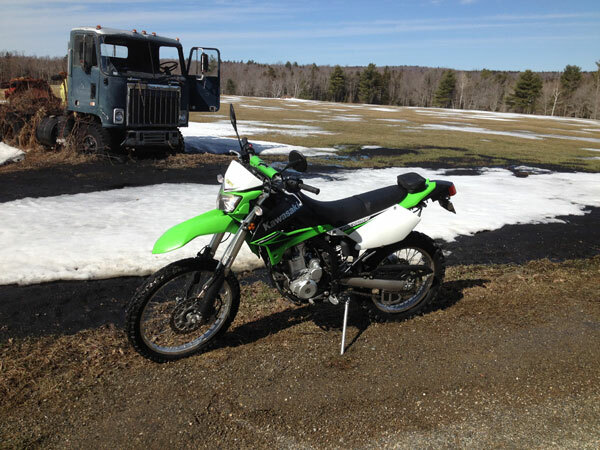 Before you thumb the starter there are a few things you need to take a look at before your first ride of the season. The first step is to make sure your bike is ready to roll. Next up is the importance of getting your mental and physical skills in shape for the new season. Here’s a quick list of pre-season maintenance tasks. I’m not going to go into detail about how to perform these duties, because that would be a very long post. Most of these things are covered in your owner’s manual. If you do not feel comfortable tackling these projects, find an experienced friend to help you with any of these jobs that you can’t do yourself. Put a gauge on those stems before you ride! Wipe her down, Start her up! After you’ve taken care of the motorcycle, then the next thing to give some attention to is your mental and physical skills. 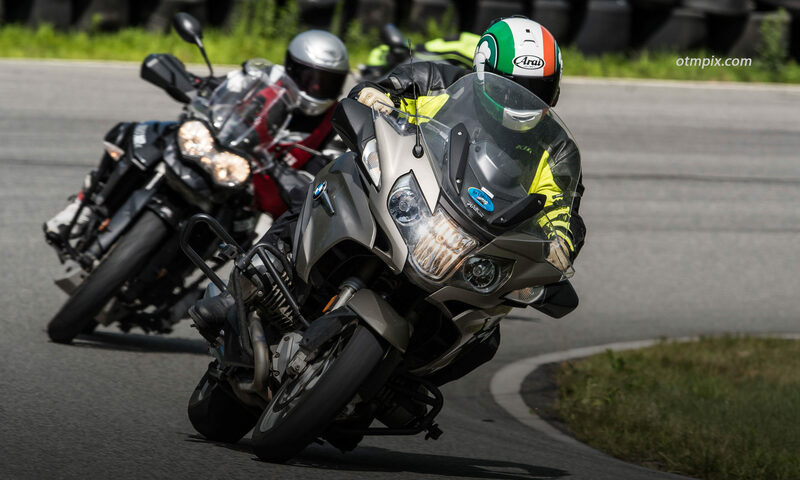 With all the anxious anticipation of the first ride of the season, it’s easy to forget that motorcycling is a challenging endeavor that requires you to be on top of your game. Starting your riding season without considering the consequences of rusty skills could end your season prematurely. If you’re like me, you’ve probably been spending the winter months getting around town behind the wheel of a car. This can cause you to forget that your survival instincts and riding “edge” are dulled. It’s easy to become oblivious to motorcycle issues like visibility or road surface hazards when you’ve been off the bike for a while. It’s likely that you haven’t been too concerned about being seen by others the way you are when riding your bike, because it’s easier for others to see you when you’re driving a 3-ton vehicle. Now is the time to get that mental radar fired up so you can deal with all the distracted and complacent drivers. Remember that drivers haven’t seen bikes on the road for several months or weeks and won’t be looking for you. Also, you probably haven’t been too concerned about road surface hazards, because most surface conditions are of little concern when you have four wheels beneath you. Get your road surface sensors sharpened before you roll out of your driveway. Formal training courses are a great way to sharpen your skills. 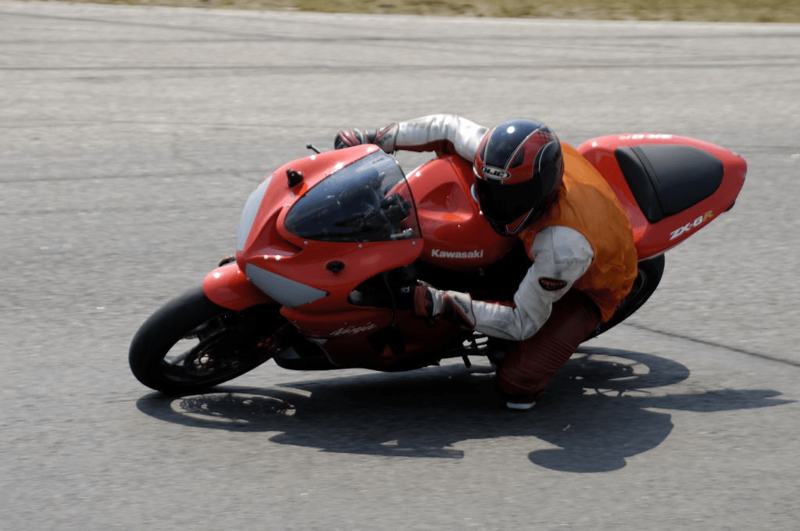 Some riders begin their season by taking a refresher course with their local motorcycle-training program, which usually offer the Motorcycle Safety Foundation (MSF) suite of courses. Others take some time on their own to brush up on their emergency skills in a parking lot, but most simply take it easy until the cobwebs blow away. Whether you choose to attend a formal rider course or go it alone, I recommend that every rider practice critical skills by performing some cornering and braking drills. Skills are perishable, which means you have to keep practicing whenever you can. Not just at the beginning of the season! That’s why I include drills in my Riding in the Zone book and DVD.